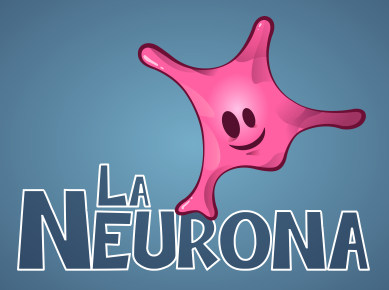 For the last few weeks, the game that everyone has been talking about in Cuba is not Pokémon GO, but La Neurona. La Neurona is a collaboration among UCI, ICAIC and, although not directly credited, ETECSA. I add ETECSA to the list because the game sports a business model that is common outside of Cuba, but cannot effectively be implemented in Cuba by any natural person. I’m talking of in-app purchases. The game implements them by giving you the option to send an SMS (which costs $0.16 or $1.00 CUC) to a four digit number for an in-game reward. The gameplay is not new. It’s a trivia app where you can either pick the right answer from a set of 4 choices, or you type it down on a number of boxes using letters from a given set, much like Icon Pop Quiz, 94% et al. The game content is the new thing. It’s based on a popular TV show called “La Neurona Intranquila”, hence the name, and questions range from international culture to geography to very Cuban sayings and traditions. Now to the part I like. As soon as I got a copy of the game, I started inspecting the app to see how it was built. For almost all games I get, I like checking whether the developers used any popular engine like Unity, Corona or –my personal favorite– Cocos2D. My first action is to simply open up the apk file, which is nothing but a Zip file and look around. This also works for iOS’ ipa files, although, of course, the content is completely different. Although the DB schema was readable, the data seemed encrypted somehow. The developers just wanted to obscure their data to make it harder for users to get all the answers; but all actual data is in the database, despite the encryption. The actual answers are not in the database; only a salted hash, as is done with passwords everywhere (sadly, almost everywhere). If the developers went for option 1, and I had a hunch they had, then everything required to read the answers (algorithms & keys) was inside the app. If they went for option 2, then there was no cheap way to break it. My version of apktool was crashing when decoding resources so I ran it with -r. I wasn’t interested in resources at first. If the key turned out to be a string resource, well, I’d have to return to this point. And here are the interesting bits of it. As a courtesy to the developers, I’m not showing the actual key & init vector. You can reproduce the entire procedure yourself if you want to see them. I had the cipher (AES), the block mode (CBC), and the padding. And I had the 16 bytes Initialization Vector, and the key. And Eureka! As you can see, the string ends with a padding of N bytes, each with the value N as well. That’s the PKCS5 padding. AES needs all input blocks to be a multiple of 16 bytes long. By looking at the last byte you know how much you need to trim. The rest was grunt work. So, if you’re curious, or seriously stuck in some level, I’ve collected all the answers here.